The Teachers' Manual is now available for use in your classroom or other learning environment. Please note: the teachers' manual is divided into one file for each chapter of A Journey of Peace. The files are in Microsoft Word format, and require Microsoft Word or compatible software. "The purpose of this story is to familiarize the students with the characters, to develop a rich emotional vocabulary and to learn the skills of empathy and compassion. Older students will learn to identify the effects of war on individuals, the interactions among family members and the community. All students will learn ways to feel better when they are upset." "The purpose of the story is to illustrate kindness (Abdullah tells lonely Jameela about his day), the value of seeking comfort and advice from an elder, and strategies to cope with fear. The importance of friendship and emotional support to friends is also modeled. Students will learn that fearfulness is a normal response to frightening events." "This story explores the very real and troublesome problems of emotional trauma. Although most children will not have severe difficulties, many children will have moderate or mild symptoms of emotional trauma. A challenge and heartache for teachers will be knowing that some students might need professional help but have little opportunity to access such services." 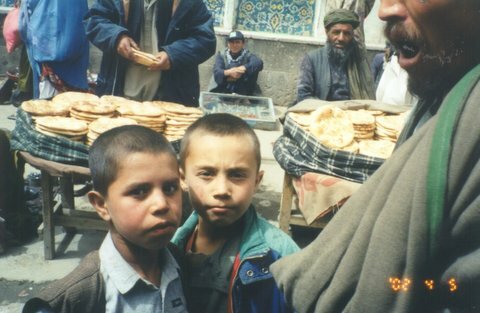 "Many decades of war and conflict in Afghanistan have taken a toll on the mental and emotional health and happiness of the adults. Children, especially young children, may feel that they are the cause of their parents' “bad mood”. " "The story explores how family members can support each other in their grief through humour, talking, comforting, and sharing happy memories. Death creates very different meaning and feelings according to the circumstances." "Many, many thousands of families fled their homes and country to reach a safe haven from the war. The displacement caused many hardships. Often the first hardship is leaving home. In this story, we ask the students to think also of the young soldier ordered to drop the bombs on small villages, knowing many innocent people live there." "The purpose of the story is to bring awareness, acceptance and enjoyment of cultural and ethnic diversity. Learning to see all Afghans as “we” not as “us” and “them” is helpful in creating tolerance and solidarity among Afghan citizens. In this way, understanding and believing in the humanity of all peoples, and the creation of and working toward common goals will assist Afghans in the creation of Peace." The purpose of this story is to model a reconciliation process. Reconciliation is important as it provides the means to healing and repair so that peaceful and healthy relationships can exist. The purpose of the story is to examine the effects of unresolved anger and shame on relationships and the perpetuation of violence." "The purpose of the story is to teach conflict resolution, step by step, and then to have many different activities to practice conflict resolution. In this way, the skills of conflict resolution and using empathy and understanding of everyone’s position are learned. The futility of using violence to settle conflict is exemplified. " "The purpose of the story is to question the value of war. Sometimes, fighting is glorified without awareness of the horrors seen and committed. The ten-foot man advocates growing food for others and suggests that this occupation is the one that is truly glorious." "This story represents the turning point for the family. Everything is beginning to look a little more hopeful. Even though Jameela longs for her former life and home in her village, she appreciates the new experiences and relationships that she has found." "The purpose of this story is to examine the changing roles of women. "